Under propitious conditions, at sunset you might see something amazing. These images were captured from Morrow Mountain State Park in the central Piedmont of North Carolina. This is a rhyolite ridge in the Uwharrie Mountains. The volcanic rocks formed several hundred million years ago as part of a volcanic arc on the other side of an ocean from ancestral North America. Ice crystals in cirrus clouds refract light from the setting sun. 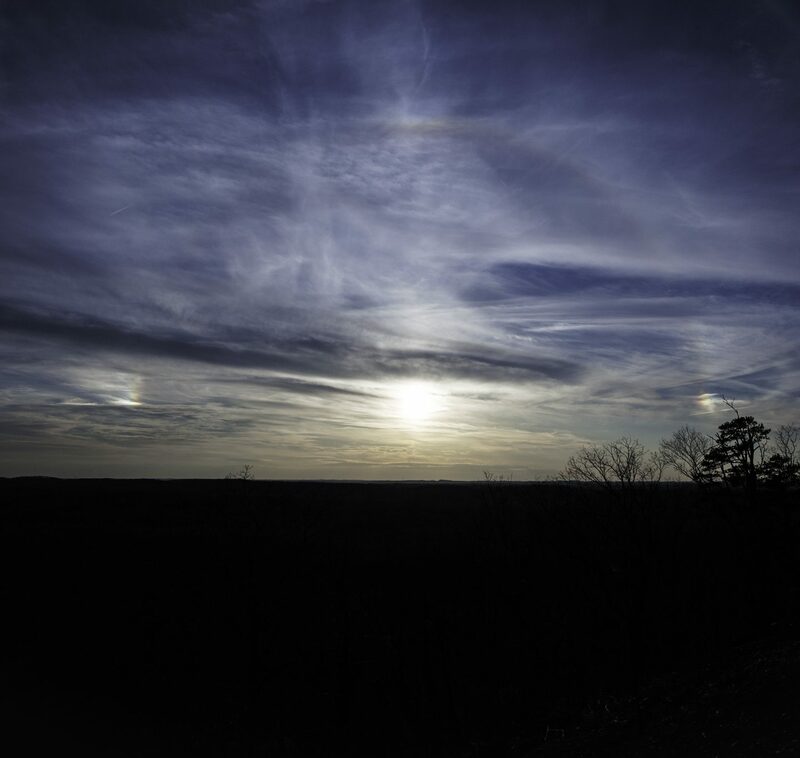 When the sun is near the horizon, a bright halo often showing red-to-violet spectra appears. You can see this halo as a bright semi-circle here. 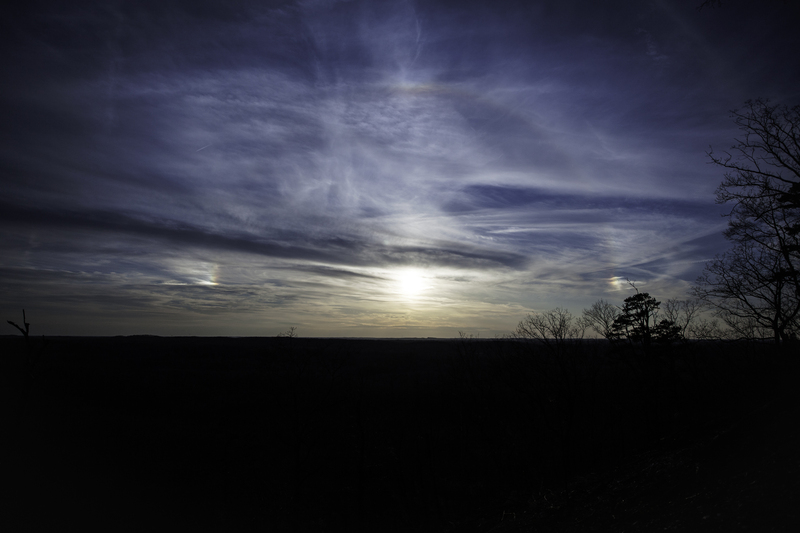 Sun halo, sundogs, and top of a light pillar from Morrow Mountain State Park. This is a three-image HDR photograph made with a Canon 5D Mark II. Along a line parallel to the horizon and at 22° left and right of Sol there are two bright spots. These are sundogs or perihelia. In this image, the sundogs also show a refraction spectrum. Another bright spot is directly above the sun. It’s not so obvious here, but sometimes a vertical light pillar connects this part of the halo to the sun, the result of falling ice crystals in the atmosphere. Panorama compiled from eight images of sunset, Morrow Mountain State Park, North Carolina.